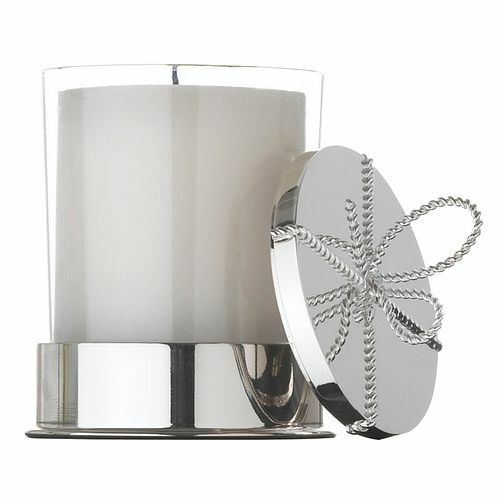 This simple candle holder from Vera Wang's collaboration with Wedgwood gifts features a polished silver-plated base. Featuring a removable silver-plated lid, the holder is finished with a delicate silver bow, delivering an endearing touch of Vera Wang's signature fashion creative. Elegant, timeless and luxurious gift ideas from international bridal gown designer Vera Wang.